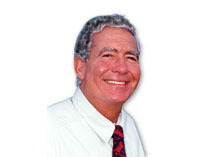 Dr. Darryl Larman has over 40 years experience in research, teaching and testing. He is an expert in ADD, ADHD, Learning Disabilities, Dyslexia, Reading Problems, Emotional Problems, Childhood Learning and Development, Mental Retardation, Psychoneurological Problems, Crippled and Health Impaired, Diagnostic Testing and Measurements, University Teacher Training Programs, Special Education and Gifted. 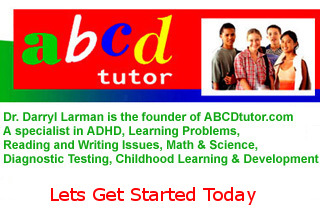 Dr. Darryl Larman is Patented Inventor and Founder of the ABCD Tutor, "Dr. Darryl Larman's research has proven to a degree of scientific certainty, that his methods not only raise test scores, but his methods raise IQ Test Scores!" 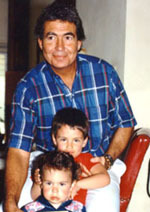 He earned his Bachelor's degree in Elementary Education and his Master's degree in Special Education at the University of Miami. At the University of Northern Colorado he earned his Doctor's degree in Special Education with emphases on Attention Deficit Disorders, Learning Disabilities, Reading Disabilities, Math Disabilities, Diagnostic Testing, Behavior Disorders and University Teaching. In addition to teaching in elementary and secondary school classrooms, Dr. Darryl Larman has had teaching experience as an Instructor and Professor at both the college and university levels, teaching undergraduate and graduate courses to hundreds of future teachers. Dr. Darryl Larman has received several national awards, is a government fellowship recipient and is a published author and patented inventor of children's word game. Students will not only improve in academics, but their behavior and IQ scores will improve. Also, Dr. Darryl Larman was voted "Most Outstanding Young Man in America" along with Dr. Martin Luther King, Jr. and President John F. Kennedy. Call Dr. Darryl Larman Today!